Buying, selling or investing – our registered valuer can help. No operator in the UK property industry offers a more accurate, reliable and comprehensive valuation service than a qualified and experienced chartered surveyor.  Here at Right Surveyors Manchester, we offer the services of one of the area’s most experienced valuers – a Fellow of the Royal Institution of Chartered Surveyors with over 35 years of surveying and valuation experience. We can undertake independent valuations in Manchester for a number of purposes – including probate, matrimonial and private. Chris began his career in 1975 at a firm of Auctioneers, progressing over time into agency, surveying and valuation. In 1980 he was admitted into the Independent Surveyors & Valuers Association (ISVA), later being granted the prestigious distinction of ‘Fellow’ of the RICS when the two entities merged in 2000. Before joining Right Surveyors Manchester as Managing Director, Chris held various roles at prominent Greater Manchester firms, including Partner, Chief Surveyor and Director. He is part of the RICS registered valuer scheme and offers consistently accurate, reliable valuations – in a court compliant format when required. All buyers should have in mind that the asking price of a property is an estate agent’s speculative estimate of what it might sell for, not a market valuation based on hard evidence and years of experience. Without knowing the true value, you could end up paying thousands over the odds. Chris knows Manchester extremely well. He can arm you with the true value of the property before you enter into negotiations, which is absolutely crucial for a property investor, but equally important for residential home purchasers who could spend those thousands on home improvements and maintenance. Chris will act as your own private value consultant, advising on complex aspects of property investment like synergistic value, development potential and internal rate of return. Our valuer doesn’t just help buyers though, Chris can help sellers secure the market value for their property – avoiding offers which might look attractive at first glance, but don’t truly reflect the achievable value. If you’re selling your property in Manchester, you'll need to know what price to accept when offers come in. Whilst an estate agent can suggest an asking price, this will only be a speculative figure and one must always recognise the influence of the agent’s own interest in securing a commission. An experienced chartered surveyor in Manchester can assess the market value of the property before you sell, enabling you to reject offers lower than this figure secure in the knowledge that, sooner or later, someone will offer you the real market value. This can save you thousands. One of the requirements of the Woolf report back in 1996 was that couples going through divorce proceedings must agree matters such as property value before court proceedings, to keep experts out of the court room. To ensure this requirement is met, a registered valuer (chartered surveyor) is appointed by both parties jointly, or by each party for negotiation purposes. Chris can fulfil this role and provide court compliant valuation reports on the marital home, or an investment portfolio if required. He creates his reports in accordance with Part 35 of the Civil Procedure Rules 1998 (as amended), so you can be sure that his work will be suitable to use during the legal separation process. At Right Surveyors Manchester, our valuers understand the sensitivity of the divorce process and the intense stress it can bring both parties. Our chartered surveyors and our support staff work very hard in such instructions to ensure our response is quick, professional and hassle free. When the estate of a deceased requires valuing, the largest element of the total value is typically bound up in property – usually the family home, but sometimes in a portfolio of investments as well. This being the case, accurate property valuations are essential to creating a robust estimate of the inheritance tax liability - one that will stand up to scrutiny. We offer a probate valuation delivered by Chris Newman himself, which aims to safeguard executors from Inland Revenue challenges and allow the probate process to move forward smoothly. Chris will use the most up to date information available, combining quantitative analysis of the data with his experience of valuing Manchester’s property stock to make the right adjustments. The property’s value is assessed for the purpose of probate, based upon the market value of the property, in a sale by a willing seller to a willing buyer, as per S. 160 of the Inheritance Tax Act 1984 (as amended). This report focuses solely on the condition of the building including garages and any outbuildings and of the services therein. It incorporates any information your legal representative should be aware of such as planning permissions, building control and any guarantees associated with the property. Covering all of the structural elements of the property, this survey allows the surveyor to identify and investigate major defects without spending time on minor issues, which may already be obvious to, and easily rectified by, the client. The Party Wall etc. Act (1996) is a complex statute which can often seem very confusing. Our professional surveyors can help you through the initial stages and act as Party Wall Surveyor should the need arise. A property valuation is a focused inspection, created to advise on the market value of the property and any serious defect or maintenance issue which could affect that value. Chris and his team have extensive knowledge of Manchester and the surrounding area, so you can be assured of an accurate and well-informed valuation. If you’re on a tight budget or need to complete your purchase quickly, Verbal Acquisition Advice could meet your needs. The surveyor will inspect the property, carry out the usual investigations for a building survey and simply report back to you directly - either face-to-face or by telephone - later that day. Saving you the expense and waiting time of a written report. Manchester Surveyors is a trading name of Right Surveyors Manchester Ltd, serving Manchester and the surrounding area. Company Registration Number: 07971238.